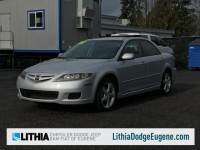 2007 Mazda 6 GT V6 - Loaded, Heated Leather Bose BEST OFFER Takes It! ... is in working order. Priced to sell and must be sold in the next 3-6 days.